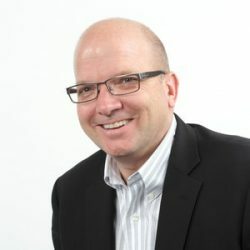 In this edition of Industry Perspectives, Schneider Electric microgrids business leader Andy Haun explores how to address the challenges of today’s energy demands. By now, it’s apparent our aging power grid is ill-equipped to handle the increasing demands brought about by a growing, connected world. Digitization, combined with the shift toward decentralized and decarbonized energy, is forcing essential transformation of the existing grid to meet users’ needs. With increasingly extreme weather incidents causing widespread outages, there is also a growing demand for a more resilient grid that can get back up and running quickly following an outage. Microgrids, with the addition of advanced controllers, help manage this change while supporting a more resilient energy transformation. Microgrids are already playing an important role to transform our infrastructure. By enabling the creation of grids where infrastructure is lacking or nonexistent, microgrids can support customized infrastructure to meet individual needs. Microgrids also provide businesses and communities with localized access to secure power at a predictable cost, which in turn supports stronger communities. However, without resilience — a critical element in the new energy landscape — this progress is at risk. Microgrid tools such as controllers are key to this change by giving operators the ability to control the use of renewable and distributed energy resources (DER) in the grid. However, integrating them into the grid while maintaining reliability can be tricky since some renewable energy resources — like wind and solar — are variable based on weather. 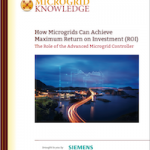 Microgrid controllers are critical as they serve to balance the energy generation and usage from those sources. For large facilities such as hospitals, airports and data centers, it’s critical to maintain grid continuity while islanding. This allows facility managers to monitor grid activity to ensure adequate power supply for their loads whether grid-tied or off-grid. Microgrid tools such as controllers are key to this change by giving operators the ability to control the use of renewable and distributed energy resources in the grid. Microgrid controllers enable grid continuity and stability by balancing energy production and consumption in real-time to ensure the stability of voltage and frequency. Controllers can also automatically cut non-priority loads when energy production cannot match consumption to optimize available power resources. As energy users grow more savvy, they are demanding integration of distributed energy resources, including renewable energy with the ability to operate when the grid cannot, to better manage the source and price of their energy. To address these energy demands, we need to find new ways to locally control power availability. Advanced microgrid controllers offer greater autonomy and control of DER, allowing facilities to maximize their renewable energy use and transition from traditional energy generation like diesel generators to more environmentally friendly DER, including solar, wind, hydropower, combined heat and power (CHP), and fuel cells to enhance grid stability and resilience. Controllers also allow a microgrid to manage multiple DERs — solar, wind and batteries, for example — to avoid outages and manage costs by automatically taking power from the cheapest source available between the utility grid and locally-generated alternatives. By integrating DER in a microgrid, end users can replace typical backup power generation by applying inverters acting as virtual synchronous generators (VSGs), which stabilizes the voltage and frequency of the microgrid. When combining local operation with third-party web data, the microgrid controller can perform dynamic computations and measurements in real-time while managing loads based on end users’ needs. For end users, this means access to always-on, reliable power at a predictable cost and the ability to maximize renewable energy use for greater efficiency. Consider the impact a new grid can have on both developed and emerging economies. Availability of abundant, reliable, sustainable and secure power can drive business forward, spur new technology innovation and reshape communities and economies. Microgrids are already playing a role in transforming our infrastructure for the better. With the addition of innovative controllers, microgrid operators can efficiently integrate DERs, enabling a resilient and reliable power grid. For decades, Schneider Electric has worked to deliver and advance technology based on our EcoStruxure architecture that makes microgrids unique, scalable and repeatable. Find out more information about Schneider Electric’s microgrid solutions. Andy Haun, senior vice president and chief technology officer, microgrids, at Schneider Electric. Real ‘Real-time’ control of the current also ensures the stability of voltage and frequency. Controllers can first optimize current of loads with current phase balancing and true unity power factor before automatically cutting non-priority loads so quality power never reaches poor power quality levels. For end users, always-on means clean electricity and the ability to maximize their energy use for greatest efficiency, regardless of sources.